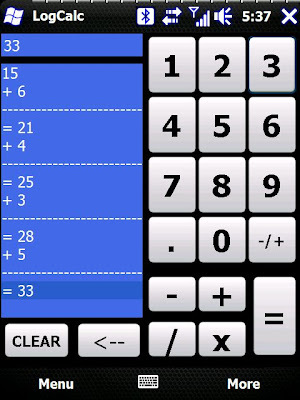 LogCalc Lite is a handy calculator which logs all calculations performed. It was created to be able to make large calculations and maintain a dynamic visible log, in order to review data easily. This Free Lite version allows you to perform a limited consecutive calculations an unlimited number of times! The Pro version allows an unlimited number of consecutive calculations. This small but useful application, can help you make long calculations with a visible log!